Illegal logging impacts all of us. It contributes to deforestation, habitat destruction, and climate change. More importantly, it severely undermines legally harvested and traded forest products. In other words, it hurts the responsible, ethical, and honest people who abide by the rules and care about our planet’s most valuable resource. When trees are harvested illegally, they are offered at a significantly discounted value. This is estimated to be 15-20% of the wood procured legally. Poverty, weak governance, and corruption are the root causes of illegal logging. Thankfully, illegal logging is not an issue in North America. As an American, you can be proud of that. Our well-developed public policies, multifaceted governance structure with laws, regulations, enforcement, monitoring, public reporting, and lots of lawyers, protect our forests from illegal logging. However, many illegal logs still make their way into North America as imports from other countries. Woods harvested and sold in America can be trusted as legal but that doesn’t mean all imports are illegal. As a consumer, you need to know who you can trust and who has done their due diligence. In 2008, the United States amended its long-standing Lacey Act to prohibit the commerce of illegally sourced plants, including wood products. This change in the law created a level of responsibility along the entire supply chain that was previously non-existent. And, it was the first time the world had seen a ban on trade in illegally sourced wood products. 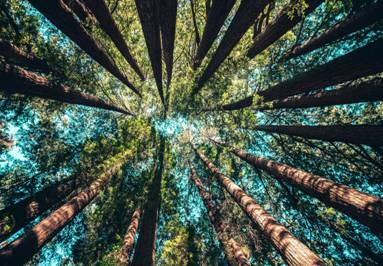 Determine that the timber was harvested legally according to the laws of the foreign state, tribal owner, or governing authority. Declare the scientific species name, value of import, quantity, and country of origin where the product was harvested. Violators who are found guilty of trading “tainted” wood products or logs, whether for export, transport, sale, purchase, or import, can face criminal or civil sanctions even if they were unaware the product was illegally harvested. Penalties for violating the Lacey Act vary depending upon how much knowledge the violator had regarding the product. Even if a violator was unaware, the penalty will still be assessed on if the violator did their due diligence to ensure the product was legal. The Decorative Hardwoods Association cares deeply about our forests. At our core, we strive to educate the public on the importance of legal logging, the dangers of illegal logging, while also helping businesses completely avoid illegally harvested wood. 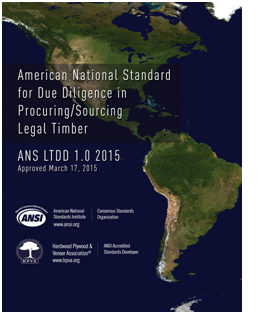 This voluntary standard provides businesses with an internal due diligence quality assurance program for establishing confidence that illegal timber is excluded from their supply chain. To purchase a copy, please visit our bookstore.